8 Months, where has time gone!! WOW, so have not had a post in sometime. We are currently in crunch mode to get ready for the arrival. Lots of pictures and updates below. 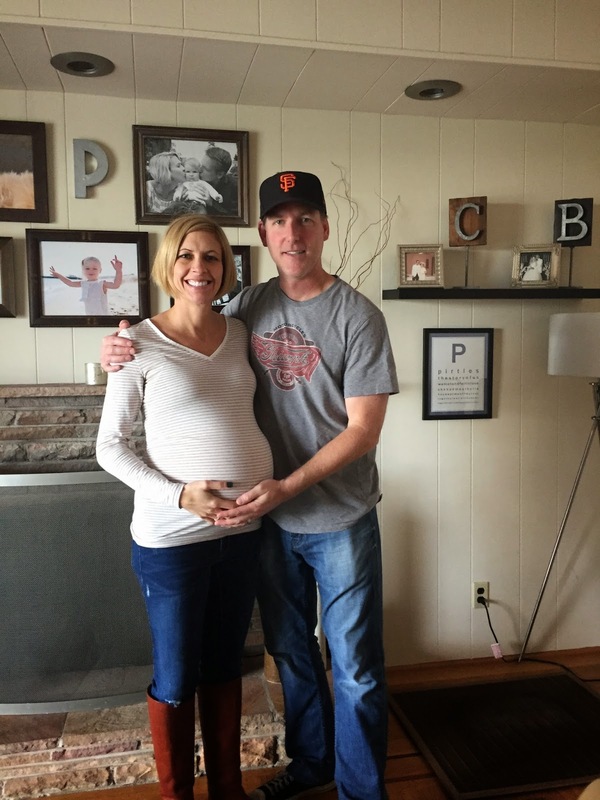 Our last ultrasound was at 32 weeks. Baby A was measuring about 4.6 lbs and Baby B was around 3.13 lbs. The doctor estimated about 5 lbs each. So that is about 4 lbs more of baby than Sydney was at birth that I am carrying around. For sure feel it, but not horrible. The doctor said that twins are full term around 36 - 37 weeks (40 week for singleton), so anything after St Patty's Day is good! He also does not see then going anywhere anytime soon, so assuming all stays as is, we should make twin full term with these girls. I have also started weekly non-stress tests. They basically monitor the heart beats and measure the fluid in each amnionic sac. As well, I will start weekly doctor appointments next week so they can keep a close eye on me and the twins. 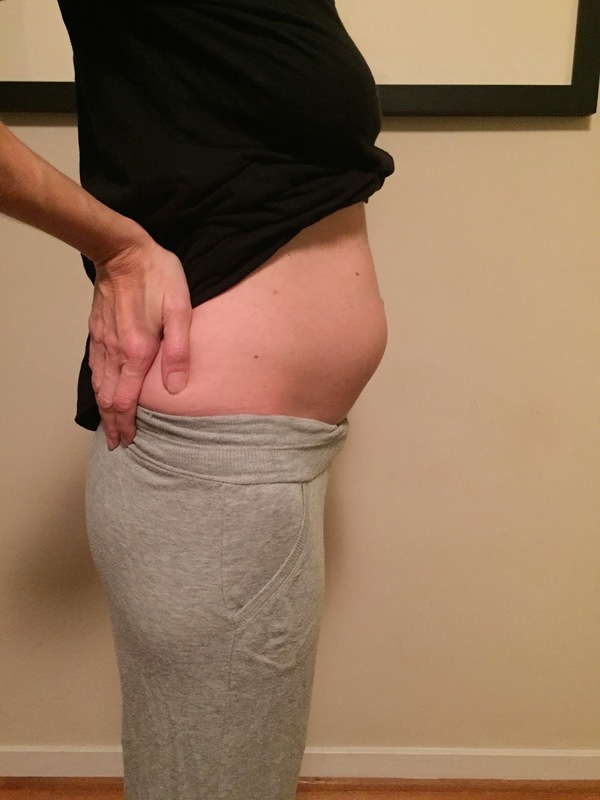 Here are some fun images of the last few months, from growing belly to cool pictures of the babies. 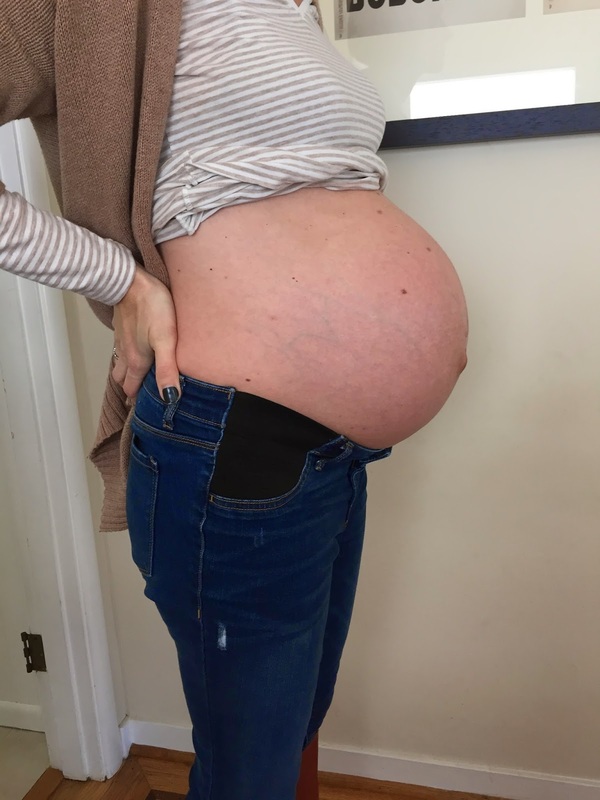 30 Week Belly - BIG!!! 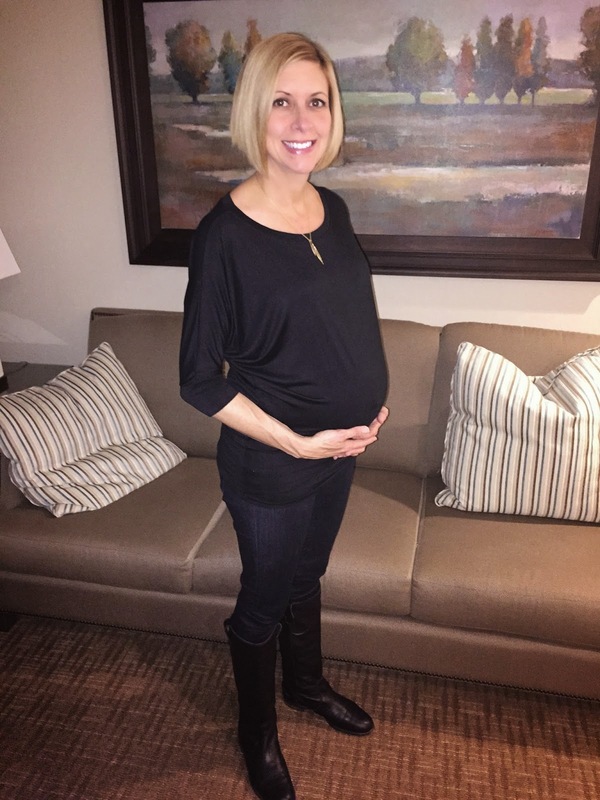 33 Week Belly - EVEN BIGGER!!! Final got a good picture of Baby B. 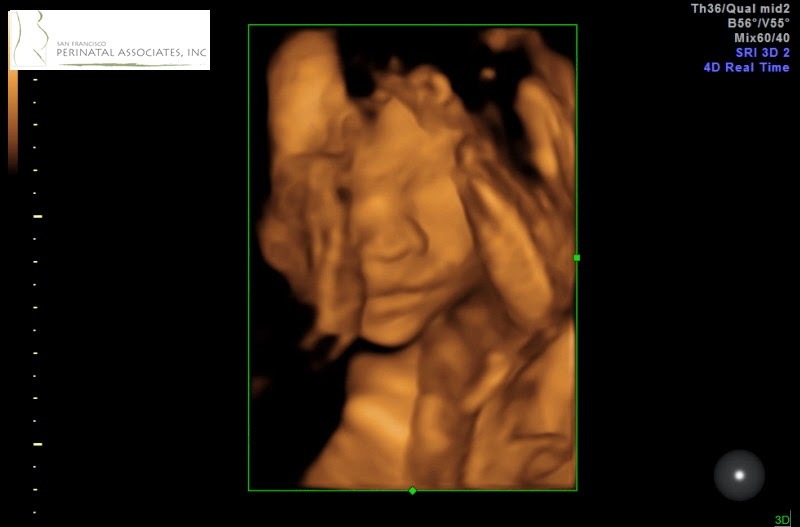 You can see her cute little face and hands! 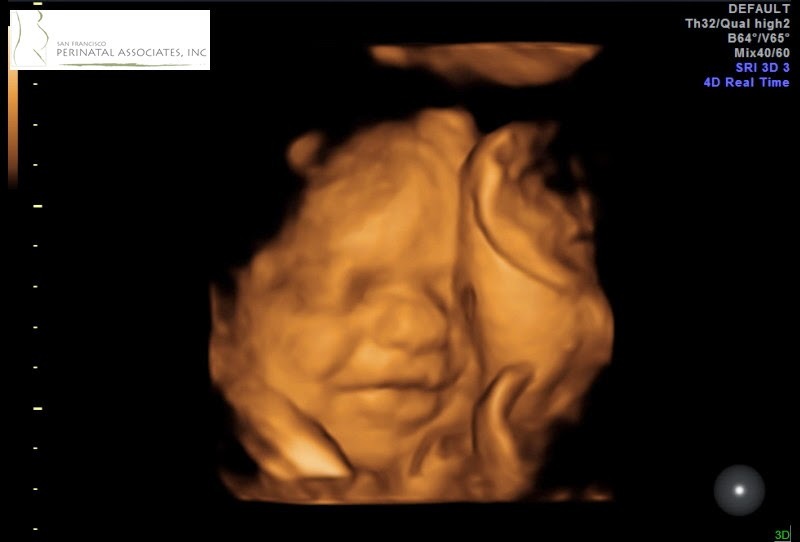 Baby A is smiling for the camera! In trying to get everything done before their arrival, we did manage to buy a new car. It should arrive this Monday and give us enough room to get all 4 girls (yes, including Mochi) around in comfort! We are CLOSE on the house front. Put an offer on an amazing house this past week, but didn't get it. We still have 3 - 4 more weeks to focus on open houses and find another house of our dreams. Fingers cross all the stars align and we will at least be in escrow during the first month the girls are around. Should have a better idea of our birth plan next week after the Doctor's appointment. 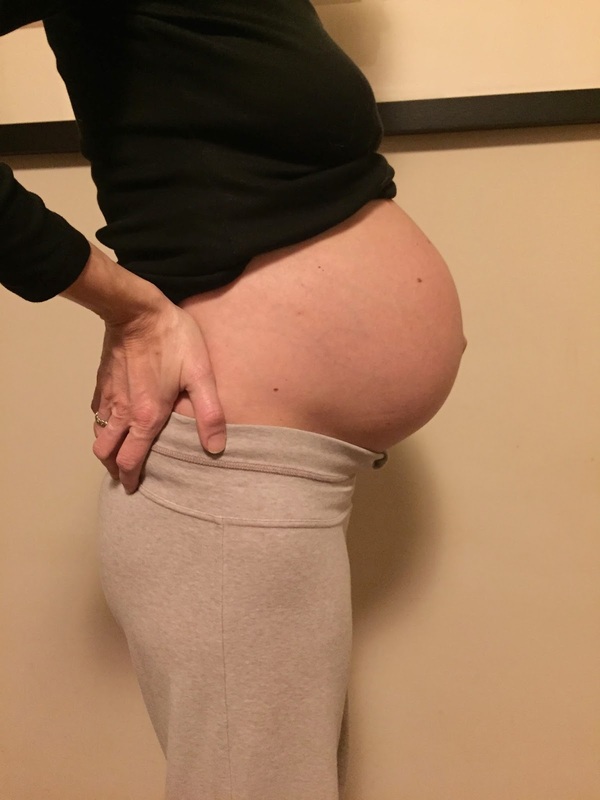 As one baby is heads up and the other is heads down, not really sure if we are going to be able to have a natural birth, might be on the c-section route, but should have a better idea next week. Well, a lot to update you all on, but still chugging along. :) Exciting stuff!!! Happy Thanksgiving to all. Hope everyone had a wonderful time with friends and family. 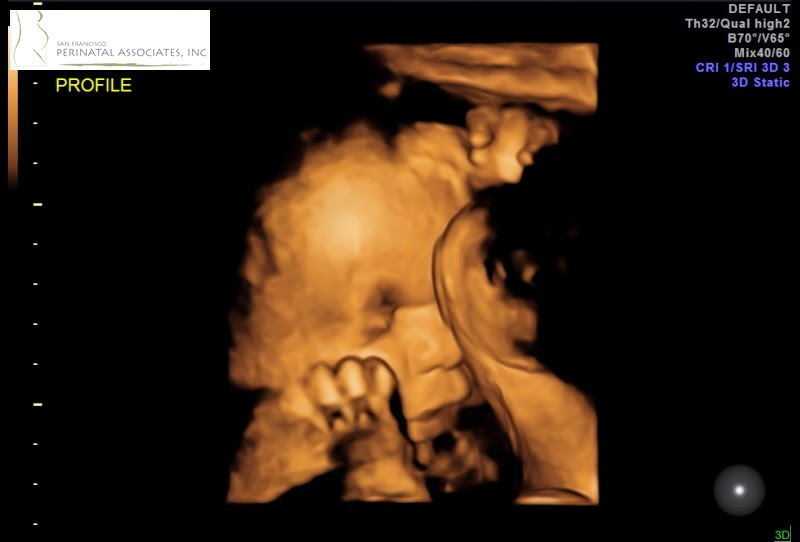 We are soooo excited to share, we made it to 20 weeks. We had a big ultrasound this past week where we saw the babies again. Looks like they are both growing like champs. 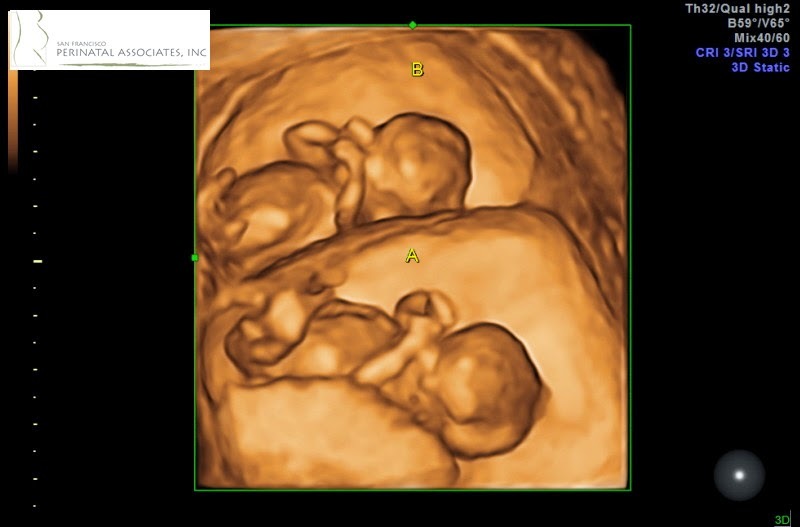 We are just thrilled to see two healthy heart beats and active little ones. 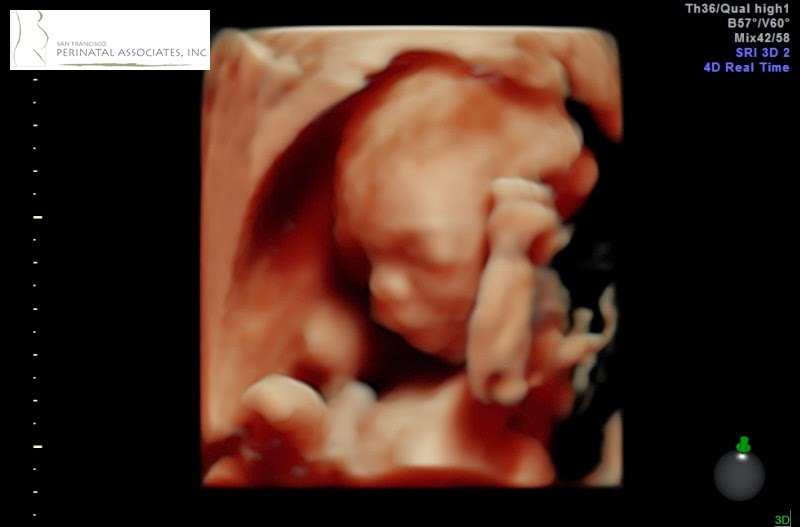 Here are a few good images from the ultrasound appointment. We are just thrilled all looks good. 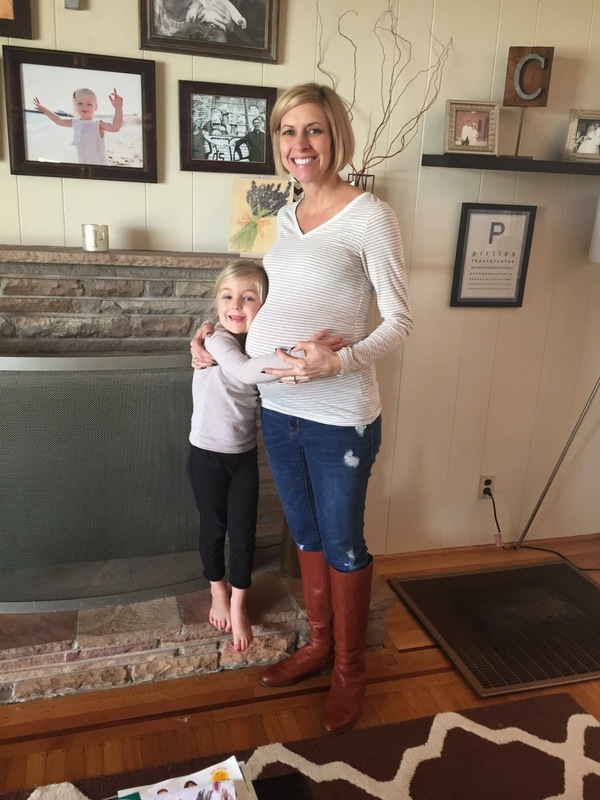 The appointment also confirmed that they are about 99.9% sure they are both girls. Oh BOY! So it is offical, house full of females for Brad. 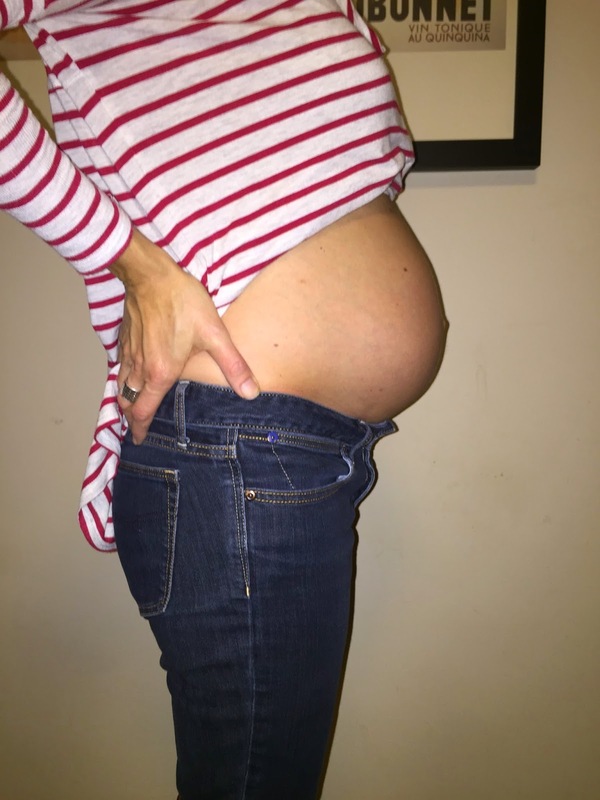 Here is the growing belly. This is Pre Thanksgiving Turkey dinner, so maybe it is a little bigger now. But all is all, starting to have a belly. Fun to feel the babies move around a bit. I am sure they will start to become more active as the space gets tighter for them, but right know, they all seem happy. 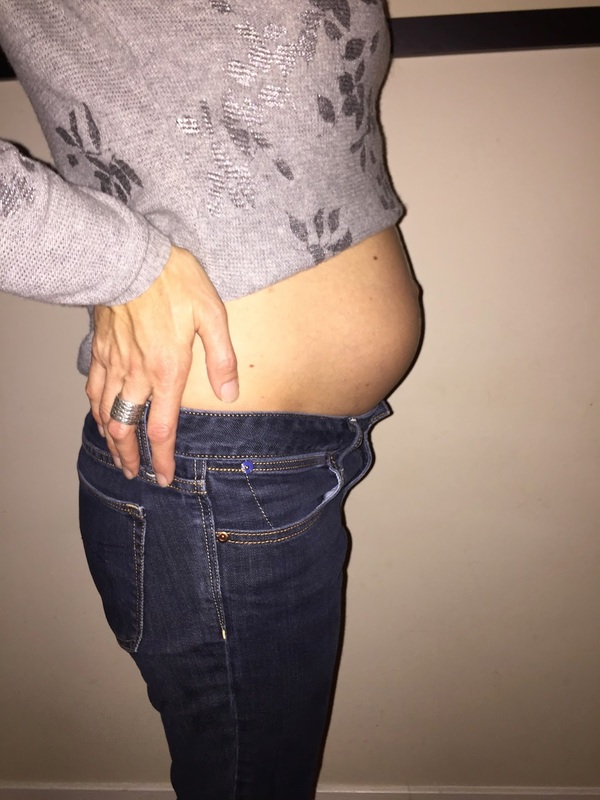 Towards the end of 19 weeks. We have another big ultrasound this week where they focus only on the babies hearts. Another big milestone for their development. More updates to come once we get past that appointment as well. Hope everyone had a wonderful Thanksgiving. We are excited to finally be able to share this wonderful news with you all. More to come. The EXCITED Big Sister to be!!!! Well, it has been over 4 years since our last post on this site. And WOW, what a 4 years it has been. 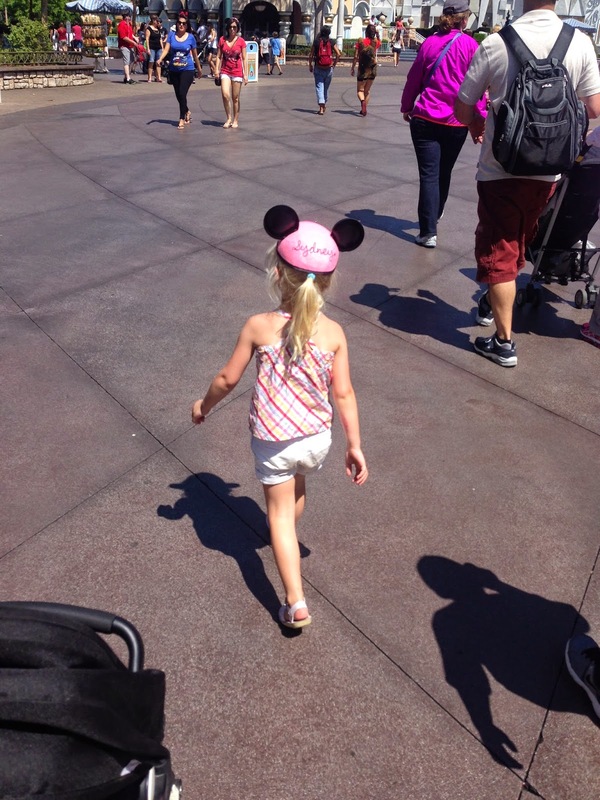 Sydney just celebrated her 4th birthday with an amazing trip to Disneyland. We met all her favorite characters and had a magical time. Minnie was so excited to see us all! Sporting her new mouse ears! Yup, those are 2 babies rubbing there little eyes, TWINS!! The above picture is from our 12 week ultrasound. In keeping with tradition from Sydney's pregnancy journey, we thought we would keep you all updated with belly growing photos. 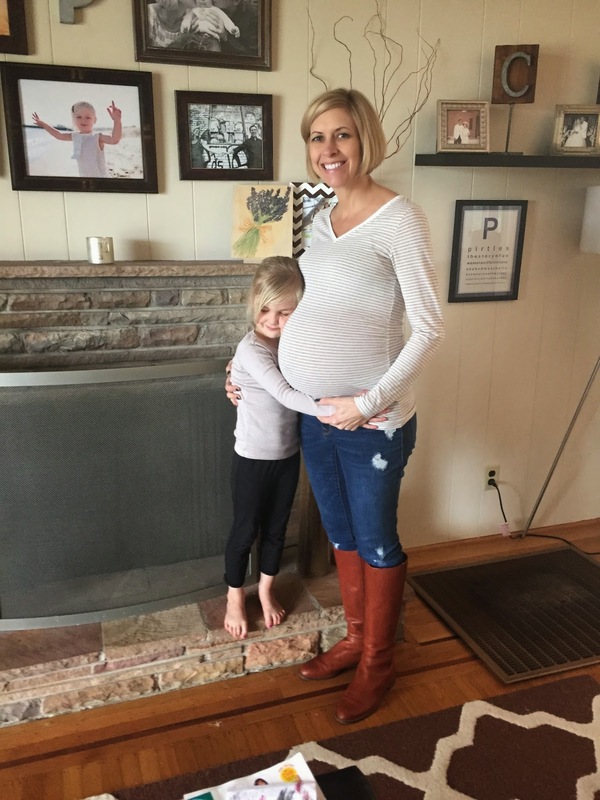 I assume with twins, we will have a MUCH larger belly, but here are a few from the past few weeks. So far, all our appointments have gone well. 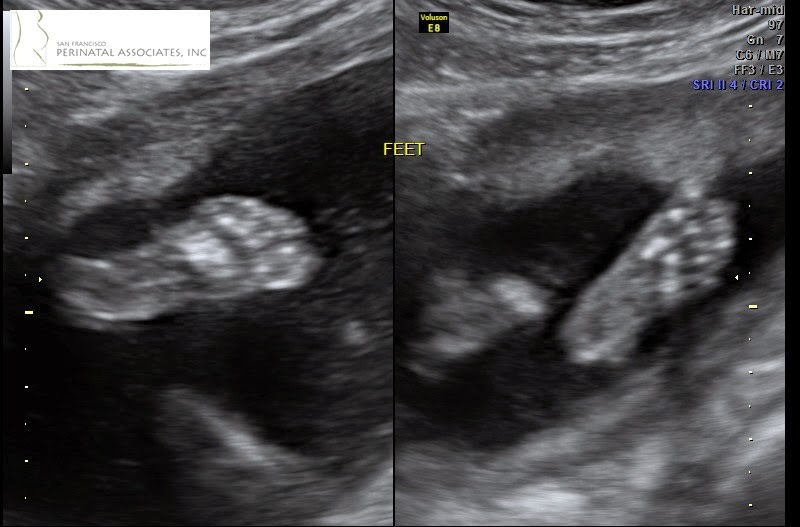 Both babies have been growing at the right pace and have 10 fingers and 10 toes! 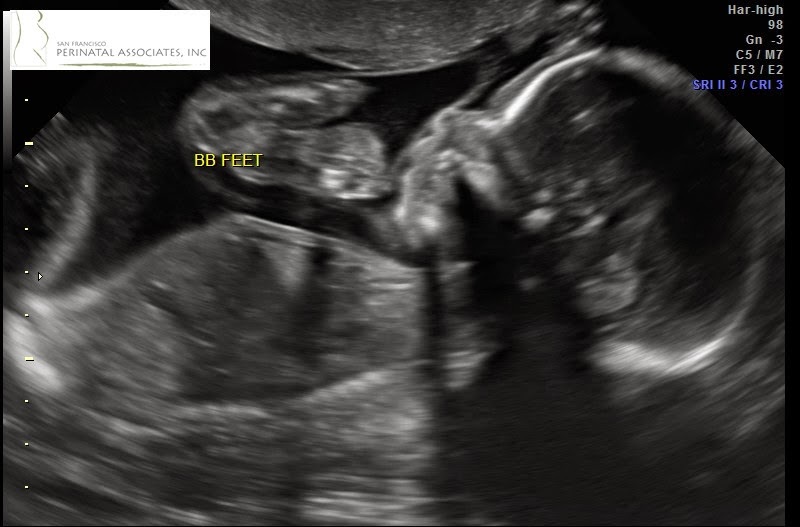 We have a couple big ultrasounds coming up in the next few weeks, so we will keep you all posted the the results. We are currently due April 15, Tax Day and 1 day before Grandma Yoder's Birthday. 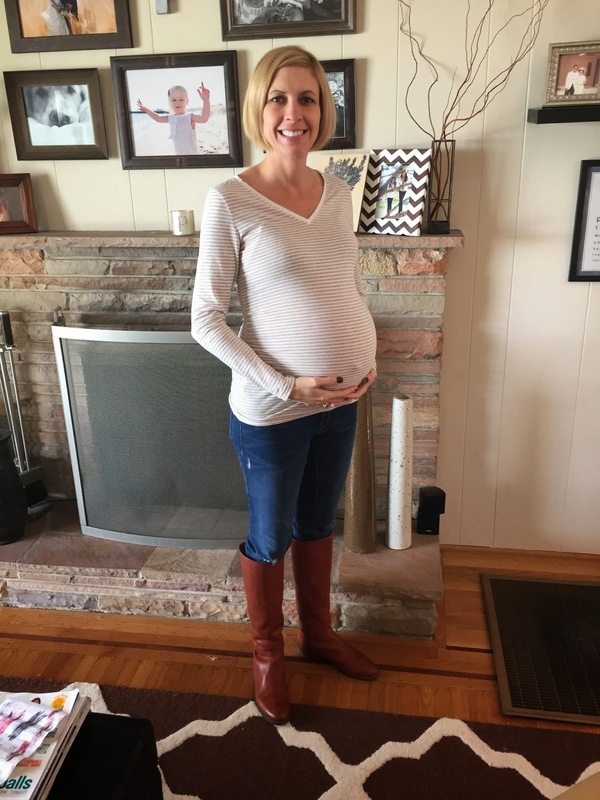 I am pretty sure the twins will come early, but so far, on target for an April delivery. We are all thrilled to share this wonderful news with you, our close friends and family, who have been through this long journey with us. Thank you all for your amazing support and encouragement over the past 3 years. It has helped make this even more special news to share. Well I am proud to say Gummy and I finish the Avon Breast Cancer walk with flying colors. Managed to strain my leg just a bit, but hey, what do you expect when you walk 40 miles and you are carrying around an extra person. Here are some fun pictures from the weekend. Top picture is around mile 15 on Day 1 and bottom picture is at the finish line after mile 40. It was a very cool event and so nice to have a good friend along to get through some of those difficult moments. Thank you all for your support. Next big adventure, my 20th High School Reunion. 2 weeks. Let's see how much bigger I can get.